When it comes to traveling there is the prepared, and everyone else. Preparing for a trip may take a little bit longer, but in the end, it will be worth it. The time spent preparing is quickly forgotten as you are able to enjoy the moments of the trip rather than stressing about last minute things. 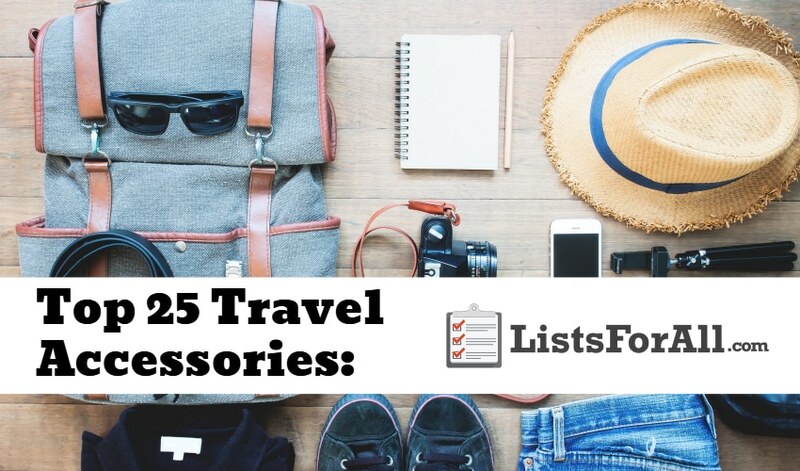 This list of the best travel accessories will allow you to have everything that you need to be prepared. So whether you are a professional traveler or a first-timer, this list is going to have everything that you need. Are you looking for even more travel-related lists? Visit our list of the best travel sites and best travel blogs. These lists will take care of all your travel needs. 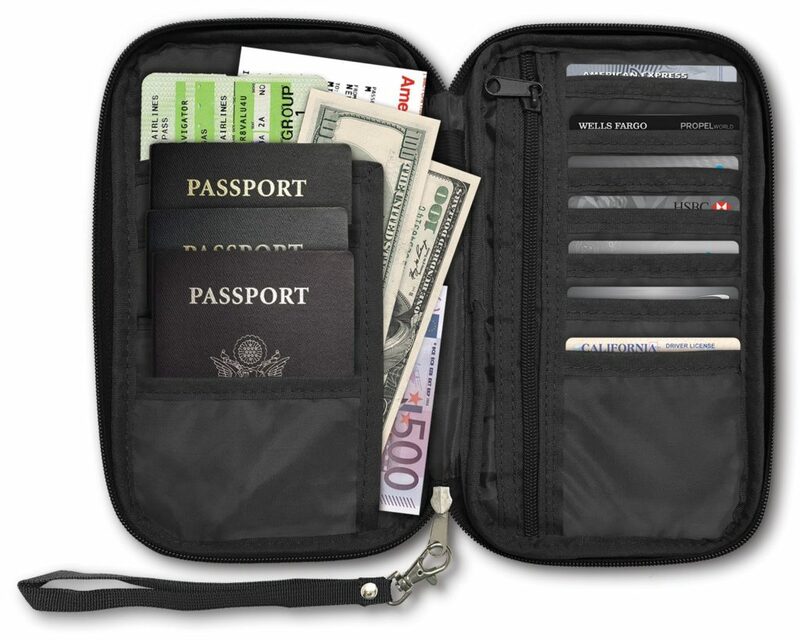 This travel organizer will keep all of your travel information, cards, and identity safe as you are on the go. It will also allow you to access all of your key information easily. 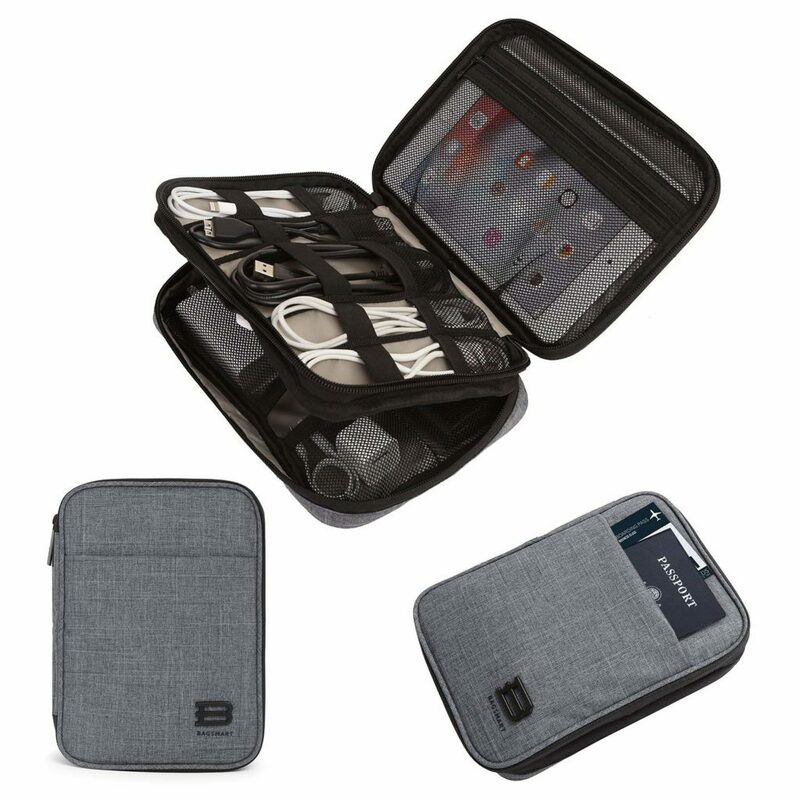 The RFID shield on this travel organizer will be able to prevent electronic pickpocketing as well. Your important documents and cards will be kept safe from all forms of theft. Finding a place to charge your phone or tablet while traveling can sometimes be an impossible task. This compact portable charger though is going to come through in the clutch for you. With a quick charge from this travel accessory, you will be able to keep your electronics functioning and usable on your trip. This travel pillow is not only going to be comfortable, but it is also going to take up minimal space. So if you are wanting to pack light or need to maximize space, this is the travel pillow for you. The design of the pillow will allow for a small amount of storage space, but a large and comfortable surface when in use. 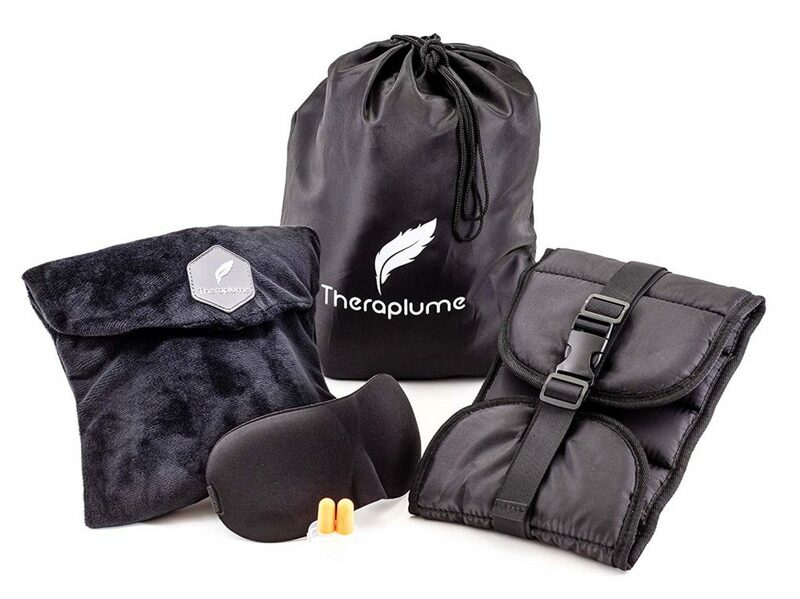 This travel pillow will also provide good cervical and spinal support as well. There are a lot of great pieces of luggage to choose from out there. 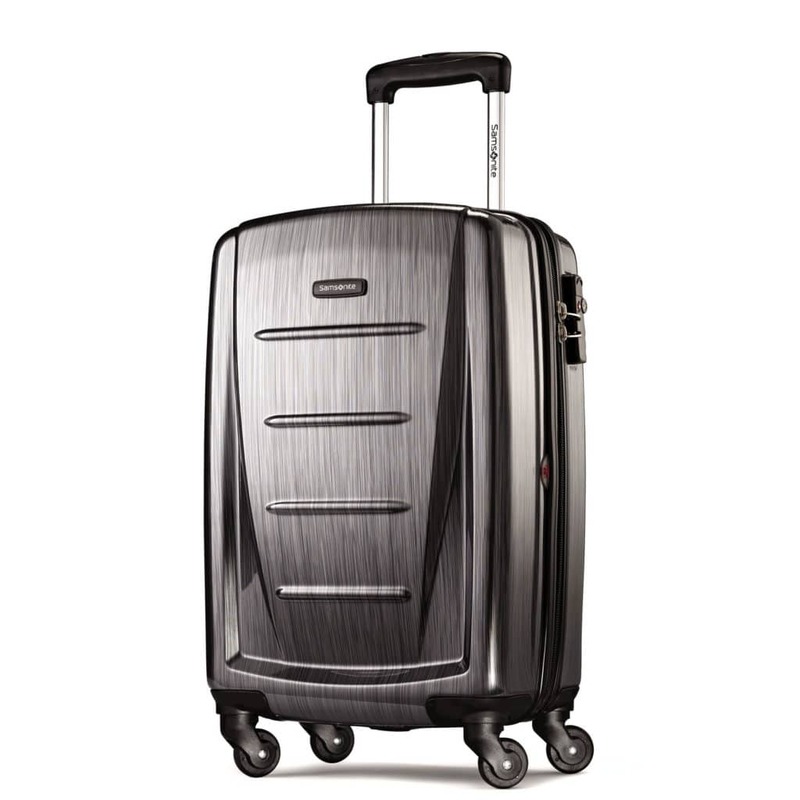 What sets the Samsonite Winfield 2 apart though, is the large inside storage space and durability of the suitcase. The durability of this suitcase will allow you to pack it out time and time with peace of mind. You will also be able to remove the need to check luggage with all the space available with this suitcase. Some airlines charge a fee for checked bags as well, so in the long run, you will really be making money with this suitcase. There is not much worse on a trip than opening up a piece of luggage to discover that one of your liquids or lotions has spilled out and ruined your entire wardrobe. These leak-proof bottles are going to prevent that from happening. They are perfect for keeping shampoos, conditioners, hairspray, lotions, creams, etc. safe and sealed in your luggage. 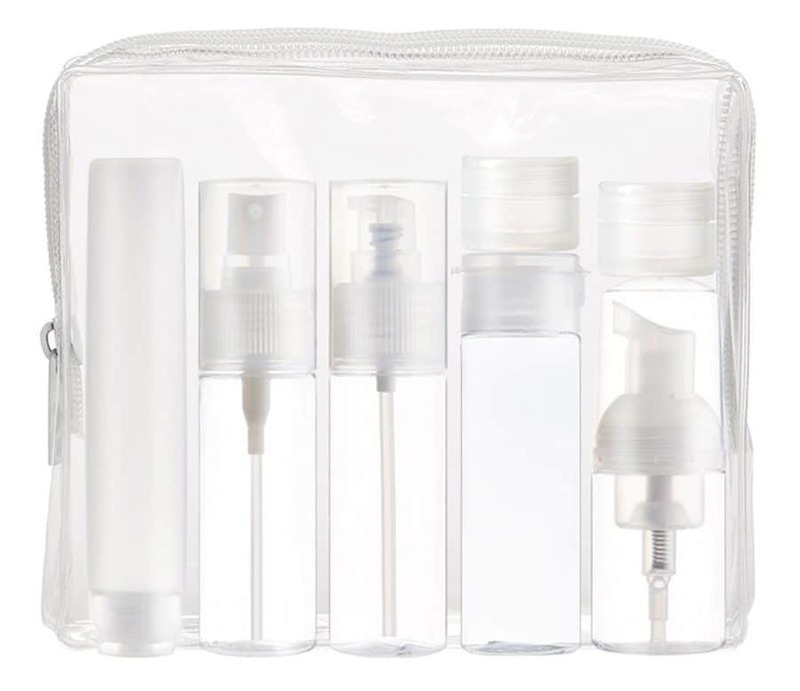 Also, the spatula and funnel that come with these travel bottles will make transferring over liquids and lotions simple. Smartphone cameras have come a long way when it comes to taking photos. 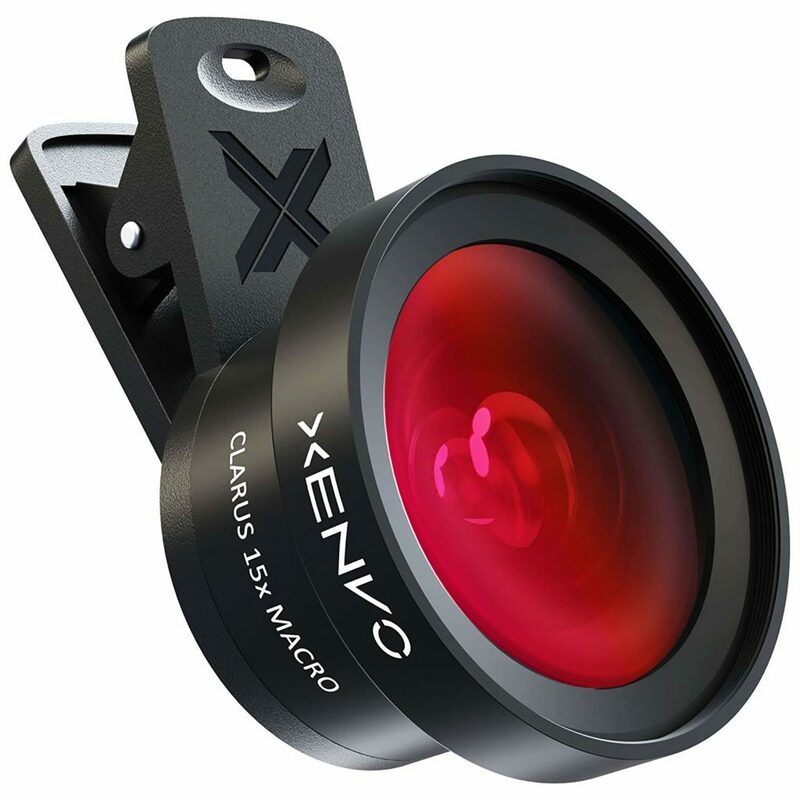 However, if you are still looking to give your travel photos a little bit of an added edge, this pro camera lens from Xenvo is a great option. You will be able to make your photos look like they were taken with a professional camera at a fraction of the cost. This lens is compact and easily stored as well, saving you luggage space. 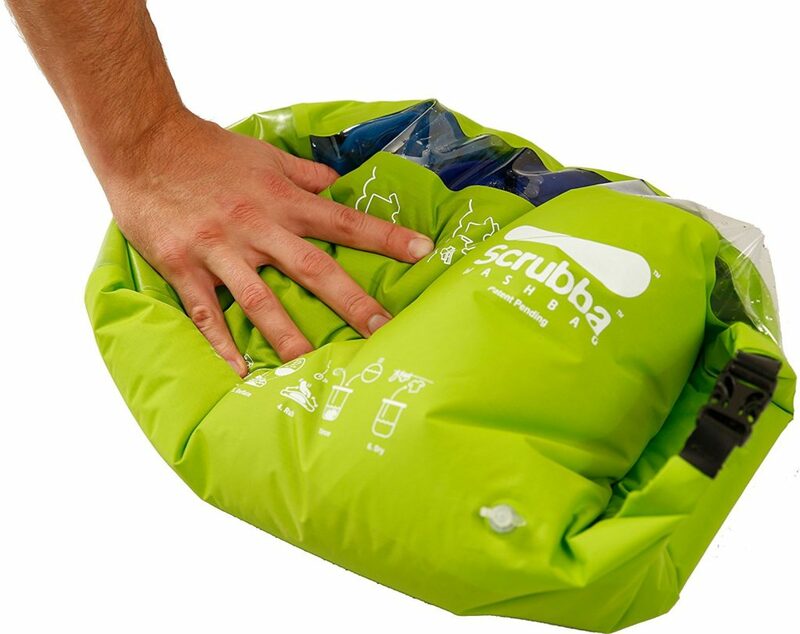 Whether you are looking to rough it or just want the security of knowing you can wash something in a pinch if needed, this portable laundry bag is for you. You will be able to get a machine quality wash whenever and wherever. The way it works is, “hundreds of internal Scrubba nodules efficiently clean clothes in minutes.” At only 5 ounces, this is the lightest and smallest washing machine in the world. If you are planning a trip to another country, this travel accessory is a must. 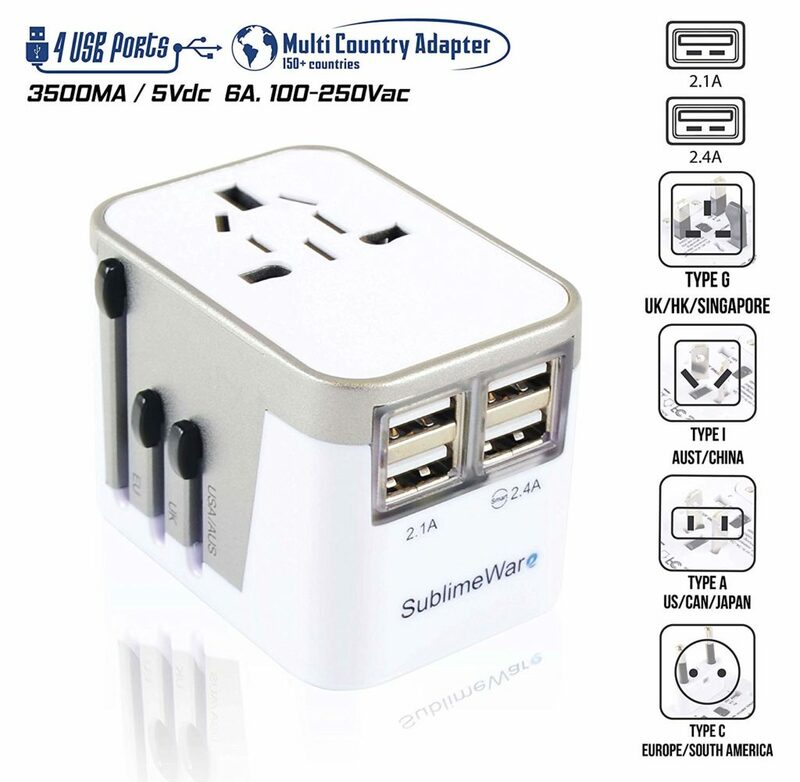 These five different power adapters will allow you to convert wall plugins easily. You will be able to match your specific electronic plugins to the outlet as needed. This is not a voltage converter, but it is perfect for adapting the plugin and offering fast charge speeds. These compression packing cubes are going to be perfect for saving space and keeping your clothes wrinkle-free. The extra zipper is going to allow for added compression, which will help you maximize space. Along with saving space, this travel item will help you to stay organized as well. You will be able to keep items separated, organized, and accessible. This travel gadget isn’t going to be for everyone. However, if you are planning a trip to the great outdoors or somewhere that you don’t trust the water, the LifeStraw is a must. 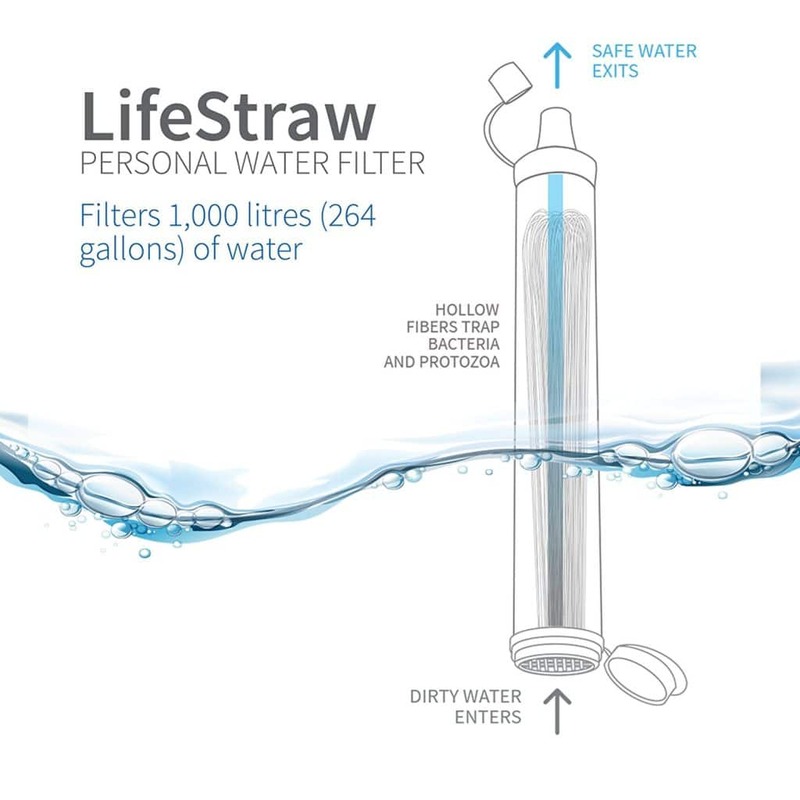 One LifeStraw is able to filter 792 gallons of safe drinking water without using chemicals. This same filtering system is going to be able to remove 99.9% of bacteria as well, and it does not expire. The LifeStraw is also easily stored as well, so don’t worry about it taking up too much luggage space. 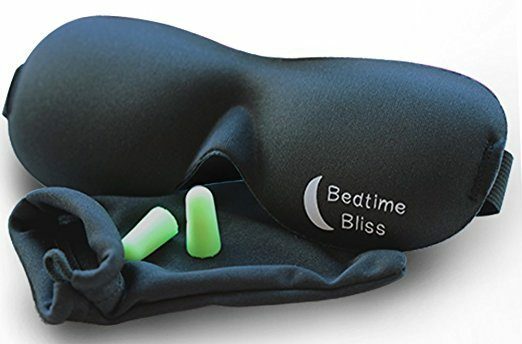 It has never been easier to sleep on a plane than with the bedtime bliss sleep mask and earplugs. You will be able to block out all of the light and sound around you and relax in peace. The mask is comfortable and soft and will provide a quality rest experience. Pair this travel item with the morph travel pillow to maximize your sleep comfort. 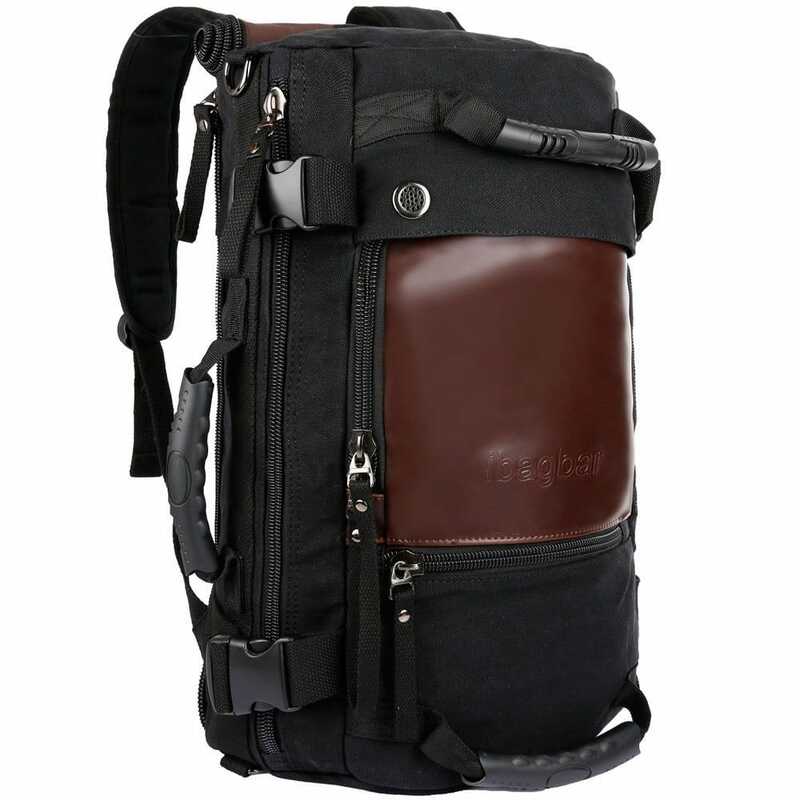 This backpack is one of the best travel bags available. 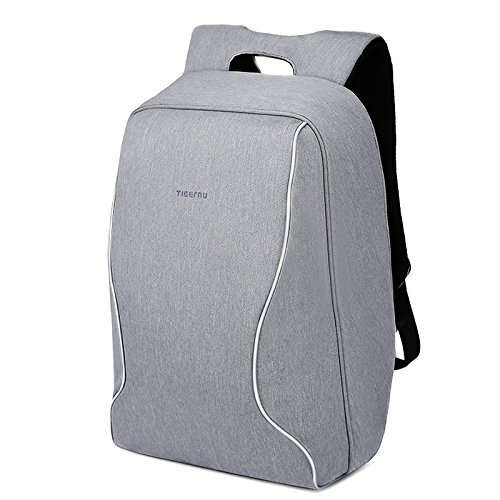 It will cover the four main areas of a quality backpack with flying colors. It is durable, comfortable, stylish, and has plenty of storage space. You will be able to pack everything that you need, and also keep it well organized on your trip. It also comes in several different colors as well, so you can pick the color that best fits you. Getting rained on when you are trying to stay dry is the worst, but it is not always feasible to give up valuable luggage space for an umbrella. 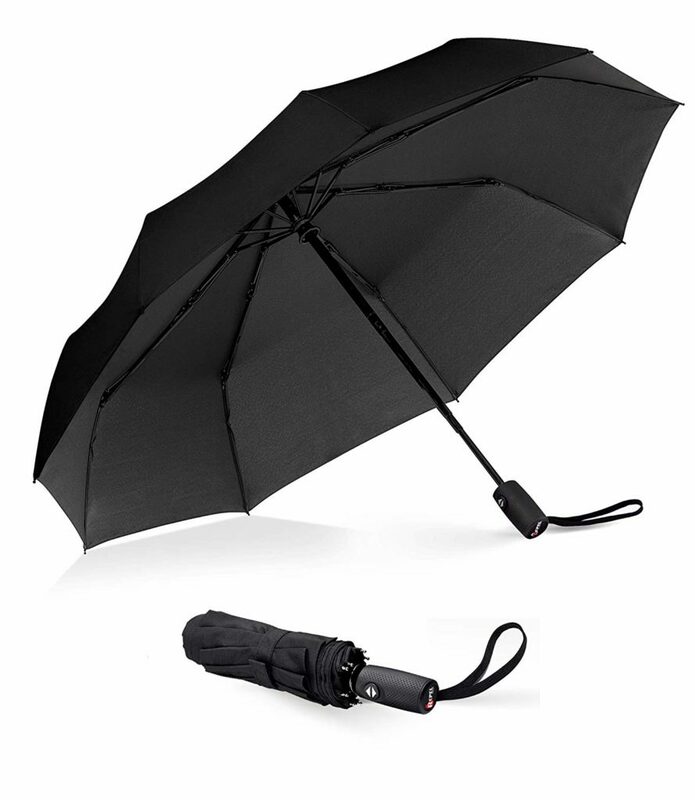 This compact travel umbrella is going to solve this issue. 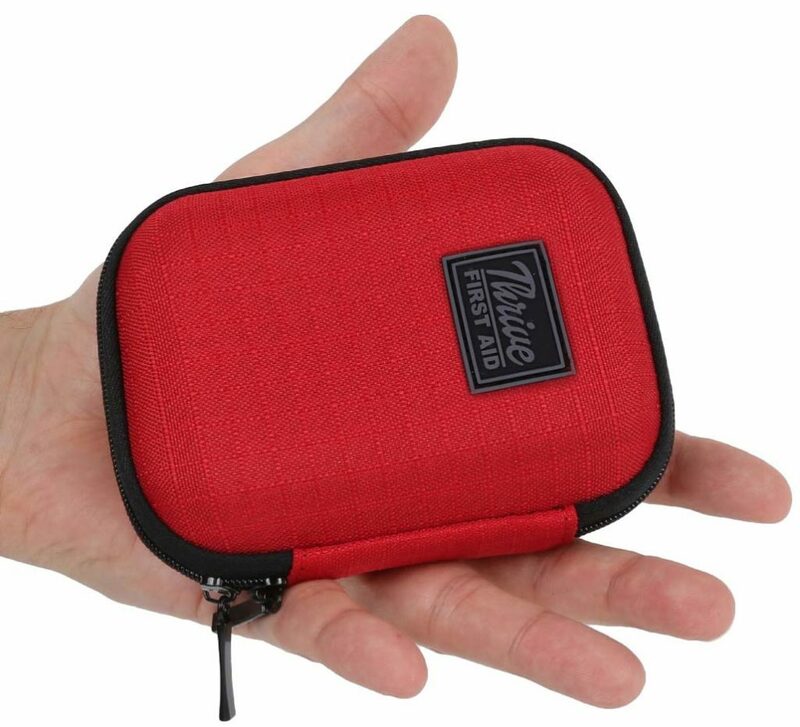 It is the perfect size for any suitcase, backpack, purse, or even a pocket. Along with it being compact, it is also very durable. It has a reinforced alloy frame that will make sure that it does not fall apart at the first sign of wind. Finding cords and other electronic accessories at the bottom of a backpack or suitcase can end up being a nightmare sometimes. This electronics organizer is going to make sure that this does not happen to you. It will allow you to neatly store all of your cords, flash drives, converters, and more. 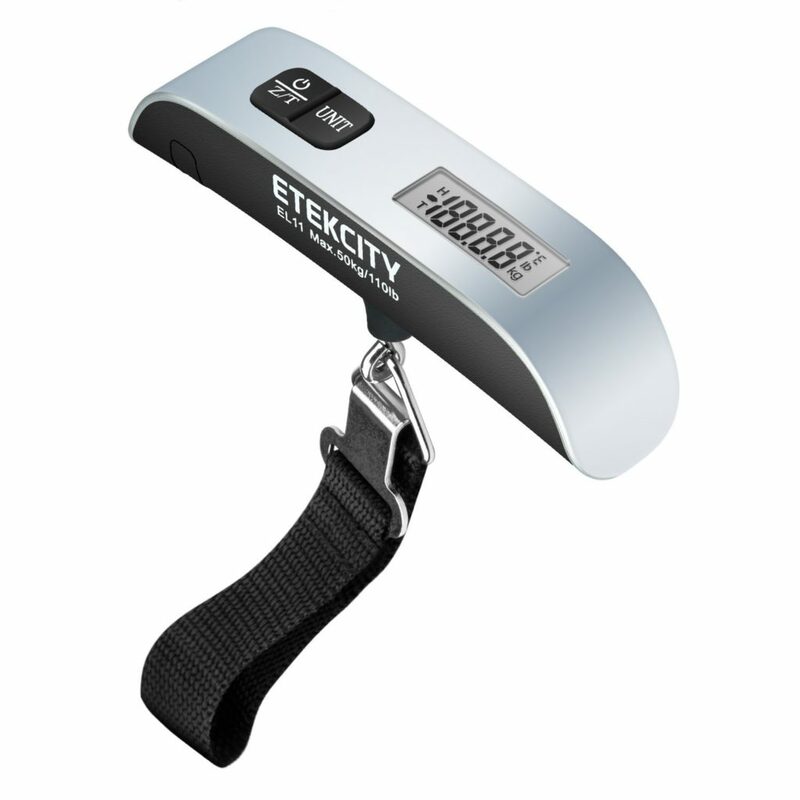 Making it easy to keep track of and to locate electronics as you are traveling. Unfortunately, there are people in the world that make their living by stealing from others. 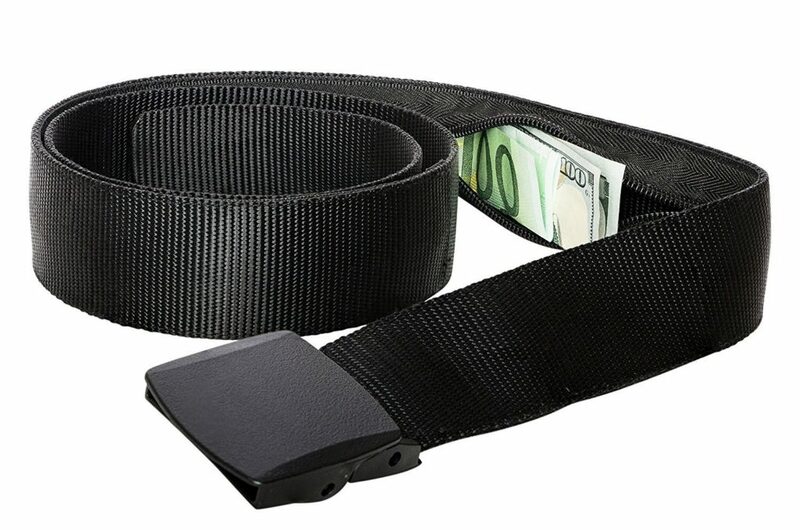 This hidden money pouch belt is going to allow you to travel with peace of mind from thieves. You will be able to know that your money is safely hidden on your person and protected from pickpockets. Also, this belt is both durable and fashionable as it is made from top-grade nylon webbing. Keeping new shoes scuff-free can sometimes be a full-time job, especially when packing. 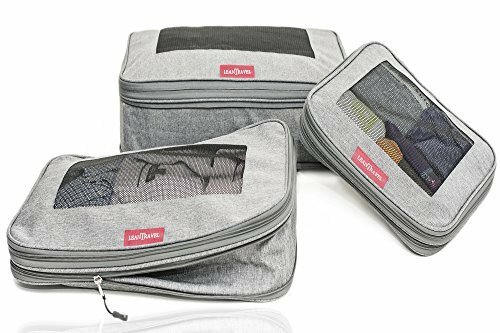 These travel shoe bags will allow you to pack your shoes with confidence. You will able to keep them protected and scuff free as you travel. 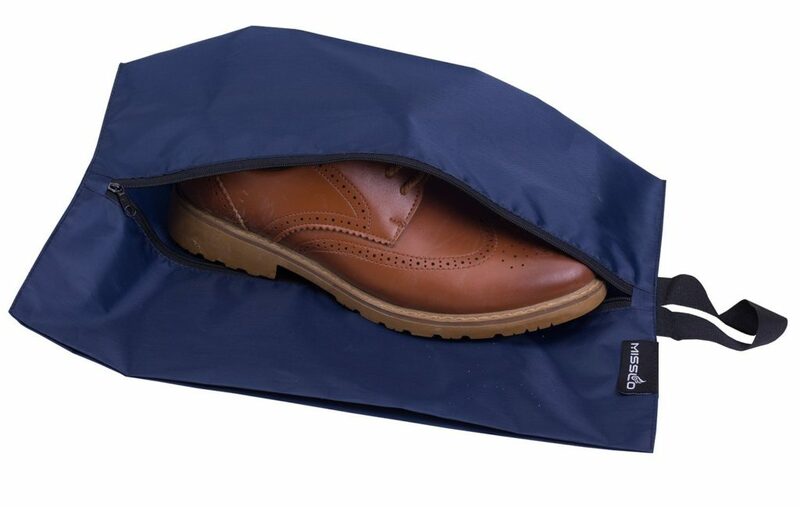 The nylon fabric is durable and will keep your shoes protected and separated from the other items in your suitcase. Most airlines have a baggage weight limit. So it is important that you are able to weigh your luggage before going to the airport. This will keep you from having to pay an extra fee or being that person at check-in that is rummaging through their suitcase trying to decide what can be moved to another bag or what must be left. 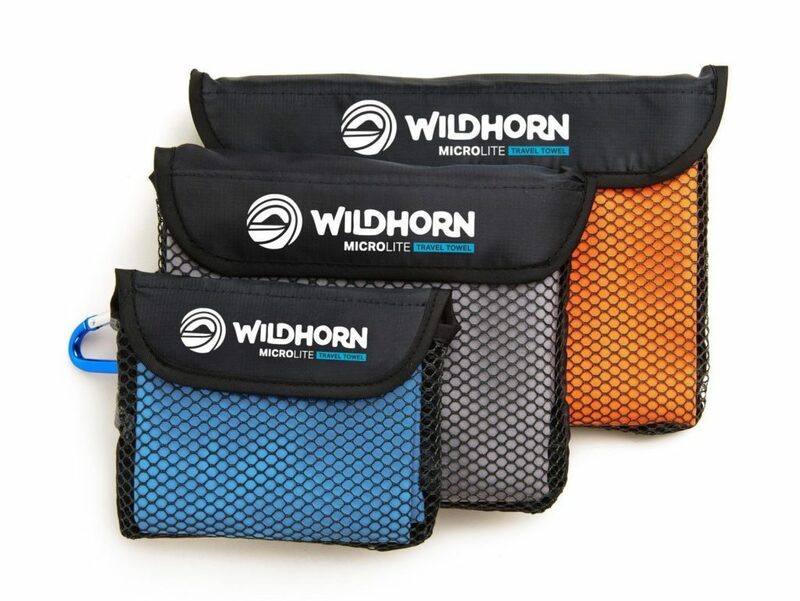 Whether you like to always be prepared or are planning a trip where you will need a towel, these microfiber quick-dry travel towels are going to be clutch. They do not take up much space and are super absorbent. Along with being both compact and absorbent, they are very fast drying as well. This is going to make sure that you don’t have to travel around with a wet towel in your bag. This travel lock is going to allow you to have peace of mind when checking a bag. It will allow you to know that your luggage is safe from being searched through for valuables after it is checked. 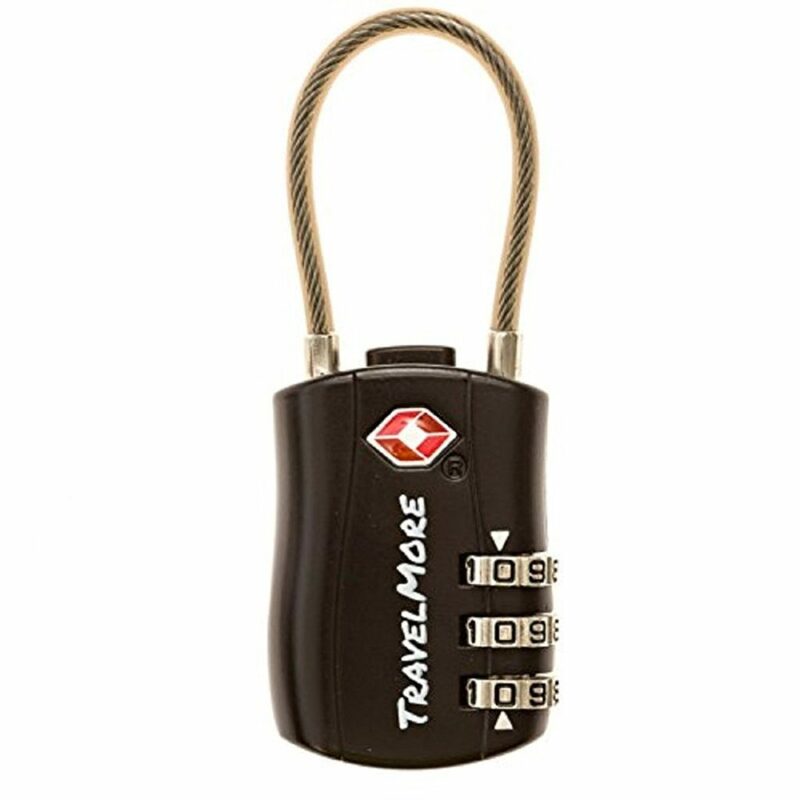 Both durable and TSA approved, this is the perfect travel lock to keep your valuables safe and secure. This is the second backpack on this list, but it is equally well deserving of being on this list. What makes this backpack so great is the design of the zipper. This zipper will help protect from pickpockets as you are wearing it. Also, the fabric is very durable and water resistant. Inside the bag, you have a spacious interior that will allow you to keep everything sorted. 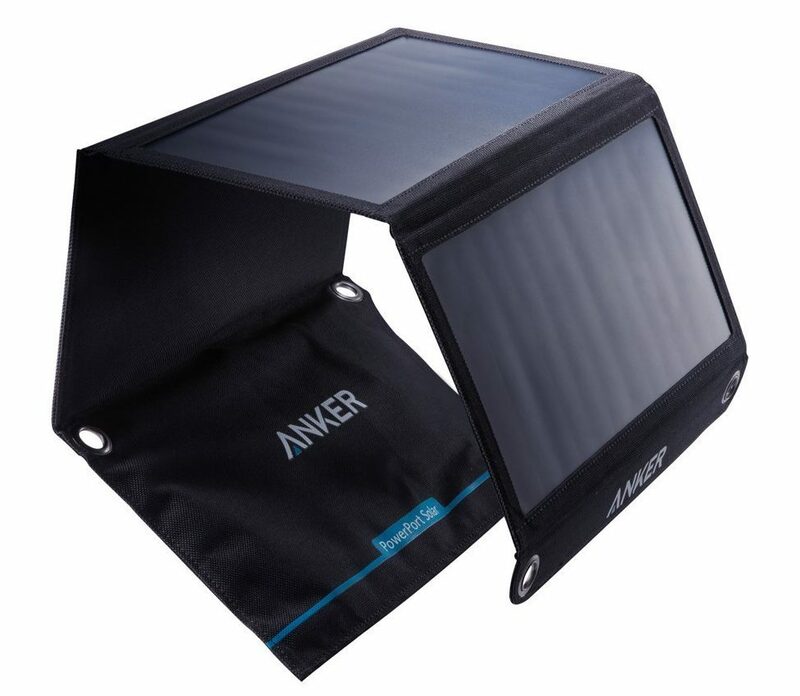 Not every traveler is going to need a solar charger, but if you are looking to go on a more rugged trip, this is an absolute must. The dual USB port will allow you to charge two devices simultaneously. The Power IQ technology is going to deliver fast charging speeds under the sun. This charger is also very lightweight and highly portable, making it easy to fit in your gear. Have you ever been on a noisy plane with children crying or people talking too loudly? If so, you know how important noise canceling headphones are. 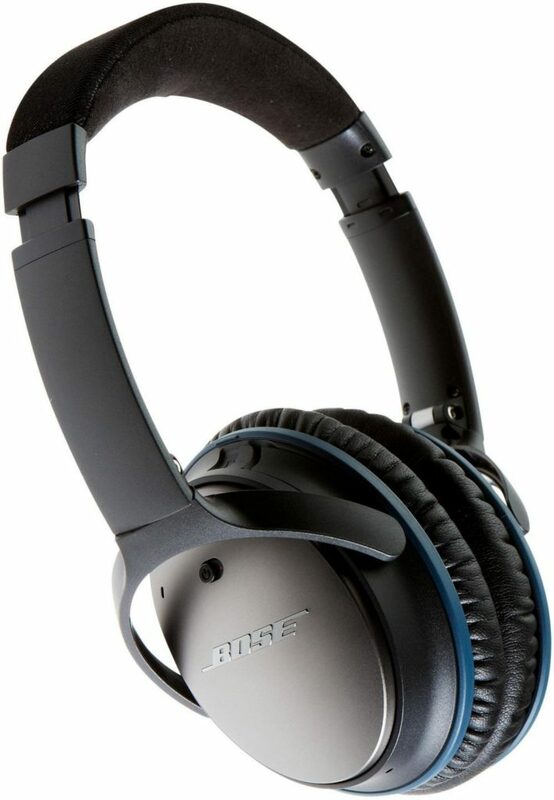 There are a lot of different noise canceling headphones out there, but one of our favorite brands is Bose. Bose headphones deliver quality sound, offer enhanced noise reduction, are comfortable to wear, and are on the more durable side. When traveling, you aren’t always going to have someone around to take your photo. And, while selfies are great, there is more to photos. 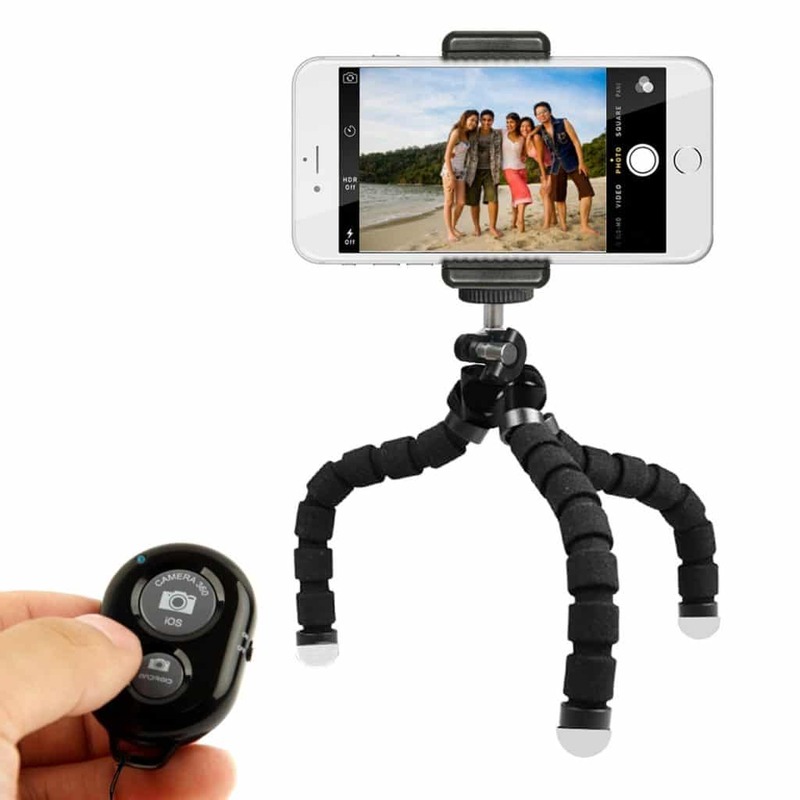 This mini cell phone tripod is going to be your go-to photo taking tool. It will allow you to get a quality picture of yourself or the group in front of whatever amazing sights you are visiting. This tripod is going to be very portable and durable. Also, the flexible legs make it easy to maneuver the tripod for quick and easy setup. Hopefully never needed, this first aid travel kit will make sure that you have the first aid essentials if an accident does occur. Filled with the basics when it comes to different ailments, blisters, etc., you are going to be glad you have it if something does come up. Compact and easily stored, this is one travel item you will not want to leave home without. 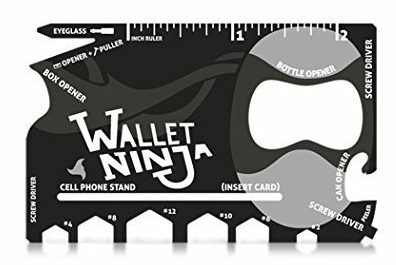 The wallet ninja is going to offer 18 different tools in one. And, since it is the same size as a credit card, it stores neatly in your wallet. It comes with tools like a bottle opener, screwdriver, box opener, and a can opener. It can even be used as a cell phone stand for watching movies! Add this travel gadget to your travel musts, and you will be surprised at how you got by without it before. The world is meant to be traveled and explored. With technology and flights stretching all around the globe, there has never been another time in history like this one for traveling. 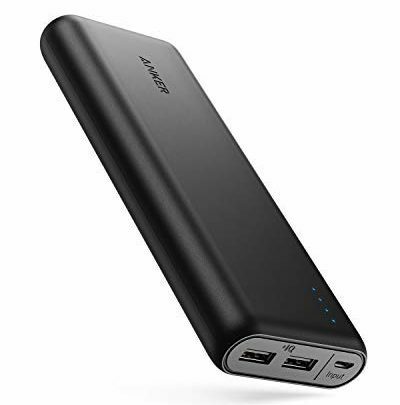 So take advantage of it, and take advantage of this list of the best travel accessories to help make your trip as comfortable and smooth as possible. Did this list get you all fired up to travel? Visit our list of best vacation spots, best places to visit in Europe, and best tropical vacations and find your next destination. If you have feedback on any of these travel accessories, we would love to hear about it in the comments below. So please feel free to share your thoughts with us.